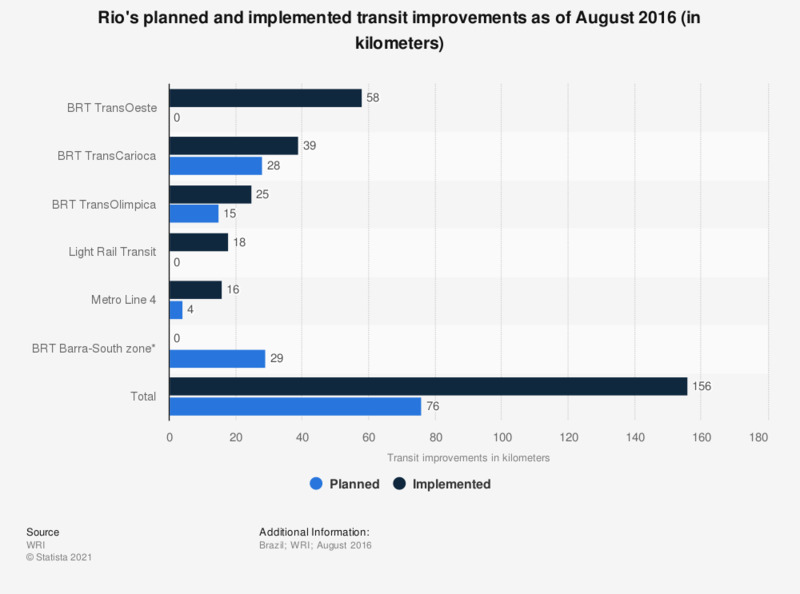 The statistic illustrates the major transit improvements for the 2016 Olympics inn Rio as of August 2016. Rio's bus rapid transit (BRT) infrastructure has significantly improved, with more than 120 kilometers being implemented to handle the additional passenger demand for the 2016 Olympics. * The BRT Barra-South zone was not implemented but replaced with 17 kilometers of BRT and 12 kilometers of metro line 4.